ONLY PAY HALF UP FRONT!!! Thank you for your interest in my company. For over 15 years now, the objective here at Aerugo Productions is to provide quality song demos at very affordable prices. There’s no need to spend $500.00 – $800.00 to demo 1 song when you can have 2 or 4 songs with comparable quality recorded for the same amount of money. Getting a professionally cut demo is this easy: send a lyric sheet, a cassette/CD/mp3 of a rough version (i.e. guitar/vocal) of your song, and check or M/O made out to Aerugo Productions PO Box 22242, Nashville, TN 37202. You only need to pay for half of your demo upfront, the balance will be owed after the song is complete and delivered and you like it. We don’t send “snippits” or lower quality recordings of your song and “hold the final version for ransom,” we will send you the final mastered recording. The honor system applies!! In 4 – 5 weeks you’ll have your song fully produced on a CD! If you do not have a rough demo or do not play an instrument, many of our clients simply sing into a cassette player or just send a lyric sheet with written examples of how they want their song to sound (i.e. tempo, feel, and comparisons to existing songs). All songs are digitally archived for future copies. Mp3s are availble too at no extra charge. If you write poetry/lyrics but do not write music, we will put original music to your words for the same prices!! Just send your poem/lyric sheet (and any notes you might have for how you want your song to sound) and we’ll take care of the rest! All songs are digitally archived for future copies at no extra charge. 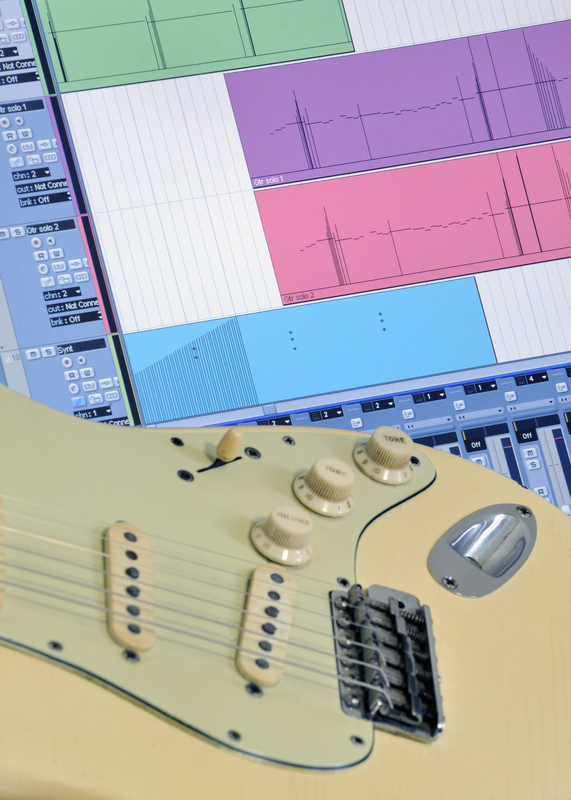 Also at no extra cost we will provide you with a track containing only the music in case you want to record your vocal over it, use it for performances, or if you want to make any vocal changes later. There are also no contracts to sign or any back end percentage deals –you retain 100 % of all copyrights and publishing to your song. So what are you waiting for? Get that song professionally cut! You never know if you have a future chart topper on your hands. Please be sure to include your contact information as well as your return address. If you have any further questions, feel free to call or email us.